Afternoon Tea is our speciality at Kitchen. We're told we do the most delicious cakes and treats for miles around. From homemade scones and jam to miniature sandwiches, patisserie and cakes, there's bound to be something that takes your fancy. Our friendly staff try and make each and every customers experience a warm and welcoming one that hopefully they shan't forget in a hurry. 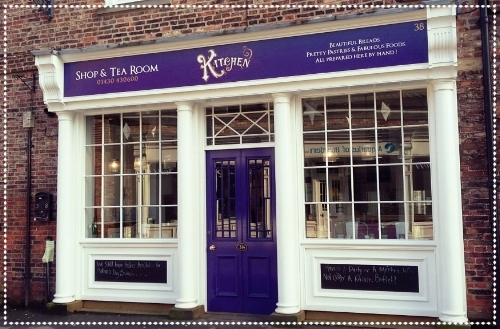 Howden is our flagship store with an impressive, open plan upstairs tearoom. Beautiful outdoor courtyard for drinks or dining. Serving all that Snaith has to offer plus an impressive Burger menu and delicious flatbreads. Snaith is a quant, cosy tearoom serving Afternoon teas, hot and cold sandwiches, sharing boards, freshly baked cakes and much more.